DynoTune Product, dynotune_kill-DynoTune Digital air shift kill box - DynoTune, Nitrous systems, Purge kits, Nitrous Bottle heaters and more! Designed for racing and off-road competition use, the DynoTune Digital kill box is a fully tune-able engine kill controller. This sophisticated device can be used with either an air shifter/co2 shifter for drag racing, or with a shift sensor for road racing. It will kill fuel on efi bikes or kill ignition on carb bikes. �Kill time programmable from 0-150ms!!! 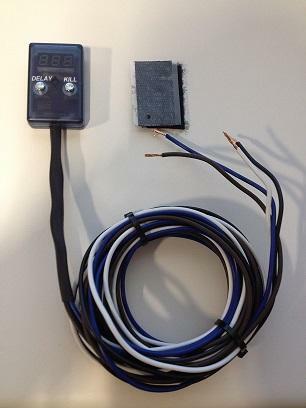 �Delay before kill time programmable from 0-150ms!!! good for long hose length.